Citibank said the Detroit Pistons will not be sold until after the NBA All-Star game. Pistons owner, Karen Davidson, the widow of Bill Davidson, hired Citibank to represent the franchise during its sale . The time line of the projected sale means that Detroit Red Wings and Tigers owner, Mike Ilitch will not become a triple threat. Ilitch scored an exclusive agreement to negotiate the sale of the team, but the deal expired after one month without a deal reached. Davidson and Citibank said if they could not find a buyer willing to pay an excess of $400 million for the Pistons, they may have to wait until the economy rebounds or sell the team to a foreign investor. The Pistons have already sparked the interests of Middle East investors, making many fans worry that the Pistons will have to relocate. Long before Detroit was Hockeytown it was and still is the Motor City, which is why many Detroiters are offended that Detroit Red Wings owner Mike Illitch will be giving away a free Honda Civic at its April 3 home game against the Minnesota Wild. 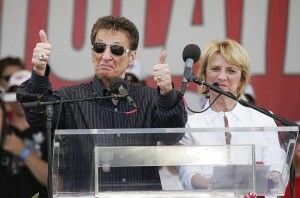 Detroit Red Wings and Detroit Tigers owner Mike Ilitch will now be a triple threat in the sports owners’ world as he adds owner of the Detroit Pistons to his resume. Ilitch secured an exclusive 30-day agreement to purchase the team and Palace Entertainment, that could be completed before the start of the NBA season. Ilitch’s bid to buy the team is reportedly worth $400 million and includes the purchase of Palace Entertainment. Illitch’s purchase of the Pistons would not only make him a dominant force in the sporting world but also in entertainment. Illitch owns Olympia Entertainment, which includes such facilities as: Fox Theatre and Cobo Arena. While the Pistons currently play at the Palace of Auburn Hills, Ilitch has not made it a secret that he wants to move the team back to Detroit. The Pistons left the city in the 1970′s, and the Detroit Red Wings are also looking for a new arena. Detroit Mayor Daive Bing hopes they return, “We continue to be excited about the possibility of the Detroit Pistons returning to Detroit, which is nationally recognized as a destination for professional sports. The deal is not done, but we remain optimistic.” Bing is also a former NBA player. Ilitch first expressed interest in purchasing the Pistons back in early August when current owner Karen Davidson reviled that the selling of the team meant there was no guarantee the team would be staying in Michigan. Karen took over ownership of the team when her late husband Bill Davidson died in March 2009. Bill Davidson and Mike Ilitch had an ongoing rivalry as business leaders in Detroit. In June, The Palace filed a lawsuit accusing Ilitch Holdings of taking employees and proprietary information.